The 2018 Honda Clarity Will Offer The Best In Class All-electric Range! Home / Automotive / News / The 2018 Honda Clarity Will Offer The Best In Class All-electric Range! Honda now holds the highest all-electric range among mid-sizers with the 2018 Clarity Plug-In Hybrid! This model can go 47 miles on a single charge, putting it at the top of the range! The Clarity will arrive in dealerships later this year and boasts an EPA fuel economy of 110 combined mpg-e, with a gas-only city rating of 44 and 40 highway rating combined 42 mpg. We think Honda is viewing the Volt as a compact, considering its range on battery power is 53 miles. According to Ray Mikiciuk, Assistant Vice President of Honda Auto Sales at American Honda Motor Co, "We think the combination of a class-leading 47 miles of all electric driving range rating and a large five-passenger package will give us an advantage in the plug-in hybrid game." 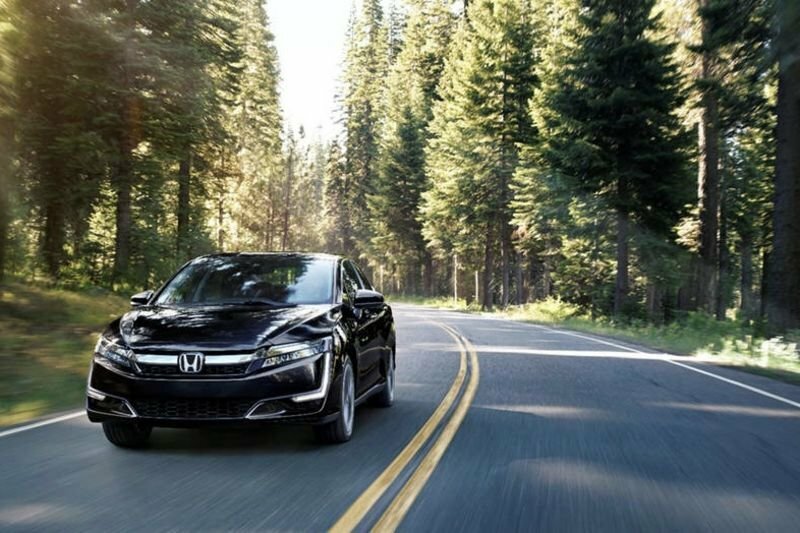 Essentially, the Honda Clarity will be able to withstand an entire road trip. With its 1.5-liter Atkinson cycle four-cylinder engine, the Clarity has an EPA range rating of 340 miles under ideal conditions. The power of this car comes from a 181-hp electric motor that produces 232 lb-ft of torque when drawing from both the gasoline engine and the 17-kWh battery pack – which can charge in 2.5 hours at 240 volts. Power and efficiency of the Clarity are managed in three modes – normal, econ and sport. A fourth mode, HV, works in conjunction with the other three modes, maintaining battery charge. Until now, fuel-cell and all-electric versions of the Clarity have only been offered for lease. Keep a look out for prices when the plug-in electric is available later this year!